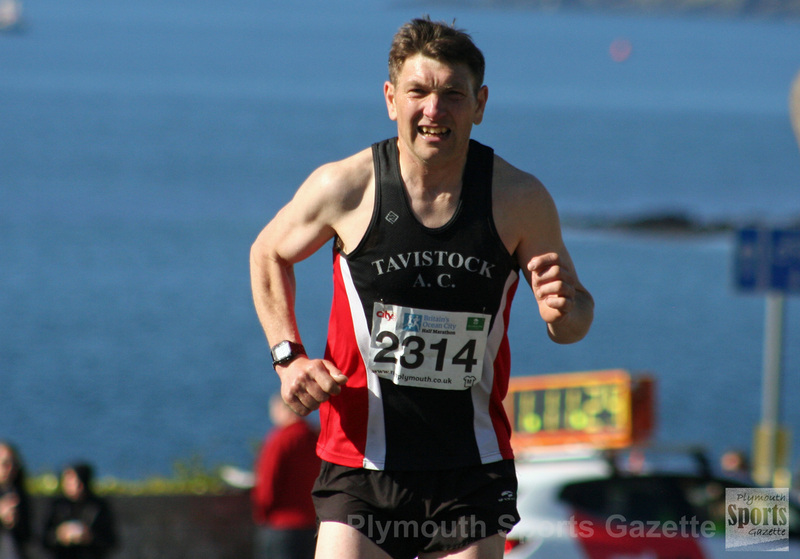 TAVISTOCK’S Jim Cole claimed his third half marathon title within the space of five weeks on Sunday morning. Cole produced a dominant display to win Britain’s Ocean City (Plymouth) Half Marathon. The experienced athlete was nearly six minutes ahead of his rivals to add the victory to the Taunton Half Marathon and Tavy13 crowns he has recently won. He won the Tavy13 on March 19 and then triumphed at the Taunton race on April 2. Cole clocked 1:12.22, with City of Plymouth’s Ashley Smith finishing second in 1:18.26 and city student Dan Watling holding off the challenge of veteran Stuart Hall to take third. Birchfield Harrier Watling, who was first under-20 athlete home, finished in 1:18.35, with over-50 athlete Hall, clocking 1:18.40. Cornwall AC’s veteran international Emma Stepto won the women’s race. The over-45 runner finished an impressive 11th overall in 1:20.27. Bristol’s Annabel Granger was second in 1:21.18, with Kirkstall’s Alice Murray-Gourlay third female home in 1:27.16. Plymouth Harriers’ Jill Anderson was first female over-50 in 1:38.08, while Storm Plymouth’s Kay Balsdon was first over-55 in 1:47.47. Tavistock’s Allan Herdman took the honours in the men’s over-60 category in 1:30.09.